East Dorset, VT – Charles M. Stewart, 75, died at Albany Medical Center, on February 26, due to head trauma incurred from an accidental fall. A resident of East Dorset, VT, he is survived by his wife, Ruth; sons, Scott (Daniela) Dorset, VT and Todd (Amber), Boulder, CO; a sister Bonnie Boyd, Norwood, NY, three grandchildren, Timothy, Benjamin, and Emily of Dorset; and two nephews, Andrew and Mark Boyd of Norwood, NY. Charlie was born in Waterloo, NY on June 5, 1941, to Charles A. and Dorothy Gerlach Stewart. A 1959 graduate of Waterloo High School, he subsequently graduated from Wanakena Ranger School in 1961. He later graduated from the State University College of Environmental Science and Forestry in Syracuse after serving four years as a photographer in the US Navy. While his career was that of a land surveyor, he was also well known for his natural ability to fix almost anything. He could be found working on a vehicle of some sort, plying his skills as a master builder for Bennington County Habitat for Humanity, gathering and working up his own firewood, milling logs of maple, cherry, butternut or pine for woodworking projects, fixing a light or an appliance, organizing whatever was asunder, or growing vegetables and Christmas trees. A competitive trap shooter, he secured several Vermont State Senior Veteran Singles Championship trophies. He was a recreational member of the Manchester Rod and Gun Club and Hale Mountain Fish and Game Club, teaching adults and local youths shooting skills and hunter safety. In the 1970s and ‘80s he also shot competitive pistol. While a riding member of the local Green Mountain Trailblazers snowmobile club, he preferred the satisfaction of setting a well-groomed trail and attending to Club memberships for the Vermont Association of Snow Travelers (VAST). An anatomical gift of his body was made to Albany Medical College with assistance from Hans Funeral Home in Albany, NY. Charlie will be greatly missed by his family, friends and community. In lieu of flowers, memorial gifts may be made to Bennington County Habitat for Humanity, PO Box 1159, Manchester, VT 05254 or the Hale Mountain Fish and Game Club, PO Box 1, Bennington, VT 05201. 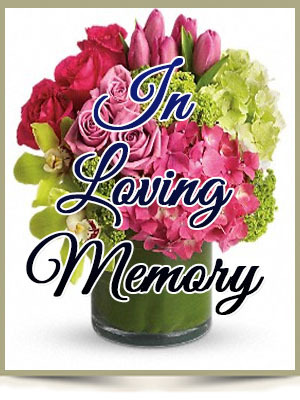 Personal condolences can be addressed to Ruth @ 324 Morse Hill Rd, E. Dorset, VT 05253; Scott @ POB 478, Dorset, VT 05251; Todd @ 30 South 31st St., Boulder, CO 80305. An informal celebration of Charlie’s life will be held on Saturday, March 4, at 4 p.m. in the vestry of the United Church of Dorset and E. Rupert. To leave an online message of condolence for the family, please visit www.HansFuneralHome.com.